We’ve seen it before, and we will certainly see it again. 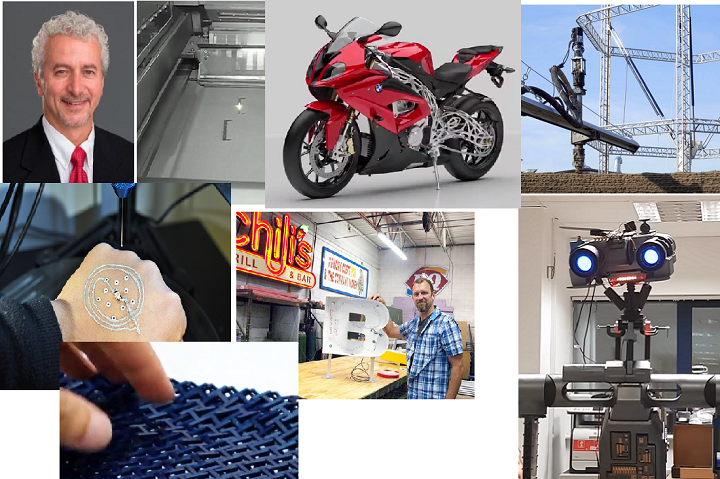 Robotics and 3D printing continue to converge on many different levels. Whether it is the robotic movements of 3D printers themselves, or the creation of better robotics through the use of 3D printing for complete customization, the technologies definitely have a magnificent future together. We have seen numerous robots created through the use of 3D printing, which has allowed for their total customization, while at the same time saving hundreds or even thousands of dollars in machine and injection molding costs. For one man, named Brian Matthews, 3D printing allowed him to create a robot unlike anything we have ever seen before. We are mostly used to seeing robots that mimic human behavior in order to make our own lives better, or resemble humans in not only their actions, but their body language and movements as well. Matthews, however, took a totally different approach for building his robot from the ground up. He decided to create a robotic parrot, and the end results are rather stunning. Matthews tells us that he started with the shell, and in order to get a basic version of what a 3D parrot looks like, he downloaded an already drawn version from the Sketchup 3D Warehouse. He also spent a lot of time watching YouTube videos depicting real-life parrots in action, as well as viewing multiple photos of the lovely birds. Once he thought he had a good idea of what a parrot should look and act like, he dumped his original downloaded model and started from scratch by tracing profile and front views of a parrot drawn from internet photos imported to Sketchup. Overall, the 3D printing process went pretty smoothly, although it did require a lot of trial and error. Some of the more elaborate parts, like the 8″ long wings which were printed diagonally on the 5x5x5″ print bed, needed some modification in order to print correctly. Matthews tells us that each part took about 2-3 revisions before they all fit together properly. In the end, Matthews’ hard work paid off, as he created what is probably the world’s first 3D printed robotic parrot, and it is really incredible (as seen in videos). The movements are very reminiscent of a real live parrot. What do you think about this intricately designed robot? Would you have done anything different? Discuss in the 3D printed robotic parrot forum thread on 3DPB.com. Check out the video and photos below.